A last minute panic on Wednesday and I decided I would sign up for Gaelforce West. It has become my most religious race. 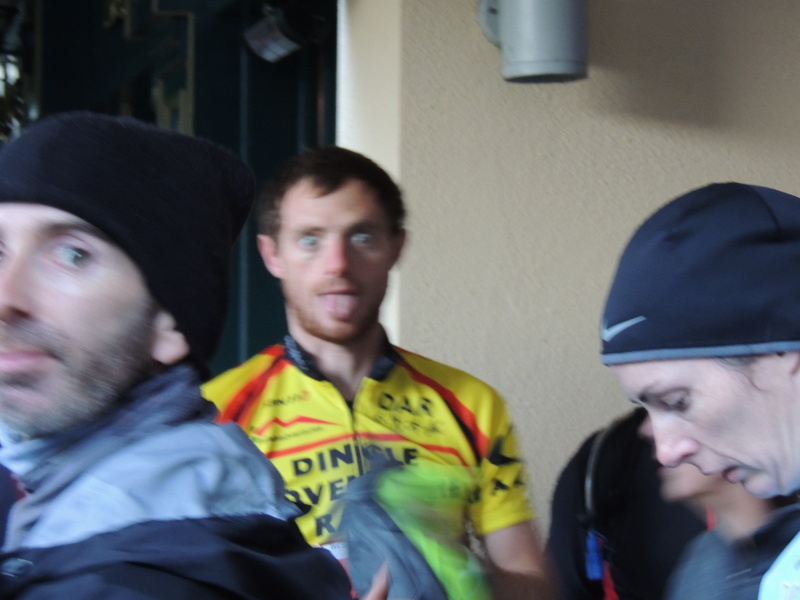 This is due mainly to the fact that it was my first ever adventure race in 2010. Little did I know that I would be hooked and end up competing at this level. I remember 2010 and the feeling I had when I finished. It was an identical feeling I had yesterday at 9.20am when I crossed the finish line. It is a feeling of massive accomplishment and pure adrenalin. 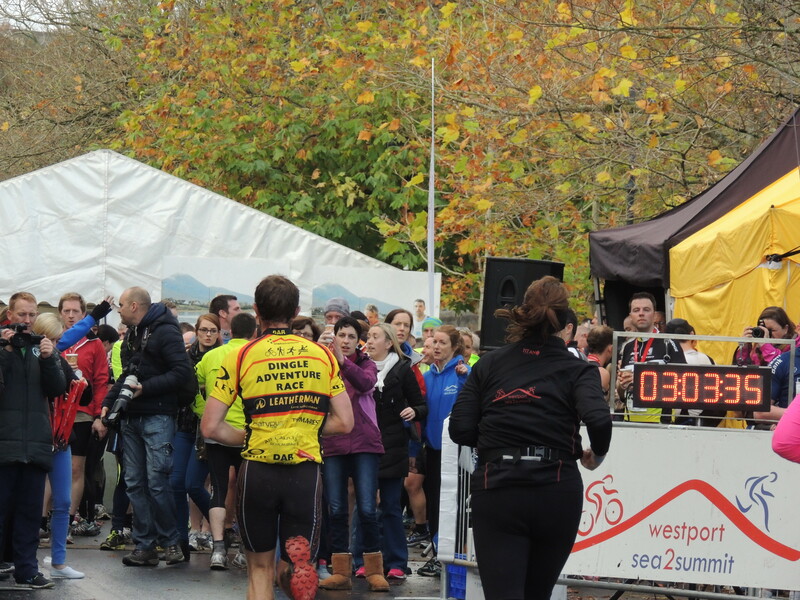 There is no doubt Gaelforce West is still drawing a big crowd as around 1500 people lined up to test themselves yesterday. This year the race had an extra early start. 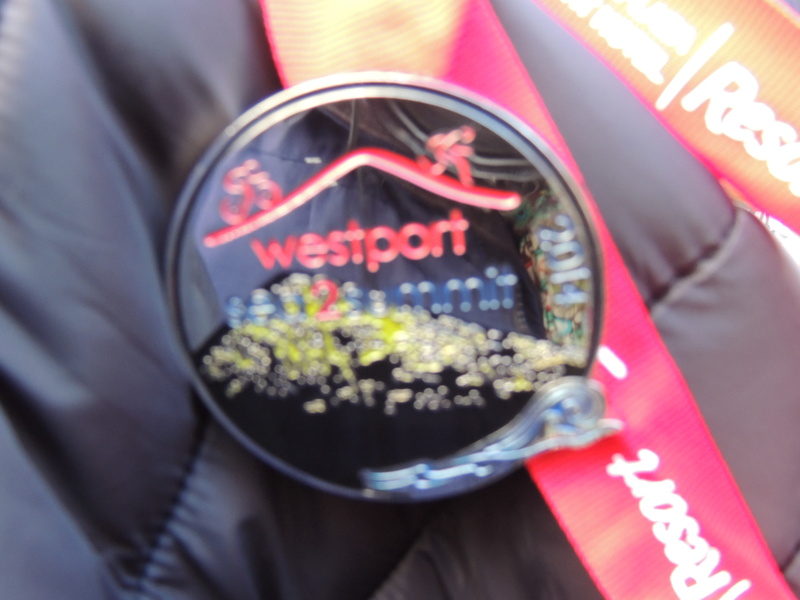 I left Galway at 2.15am, hopped on the bus in Westport at 4.00am and the race started at 5.30am. This in itself was a bit of an ordeal but I had to try and turn it into some fun to keep the positive thoughts flowing ! We made our way from the Bus to Glasillaun beach and in the dawn light the race kicked off bang on time. The course has been well explained in my blog from last year so I will try and give a different sort of view on the race yesterday. 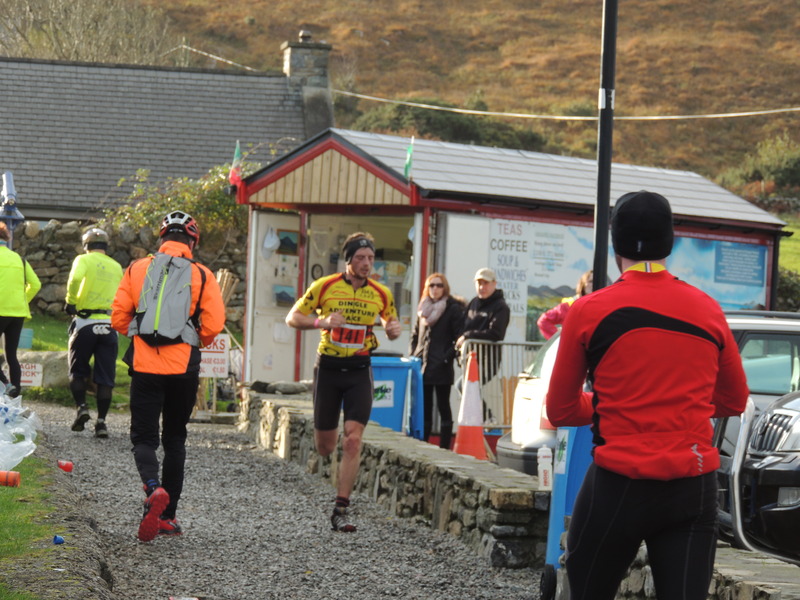 We hit out into the first run of 14km, mostly on trail along the famine trail, Killary Harbour. I jumped into the lead group and would stay in the top three for all of the 14km. 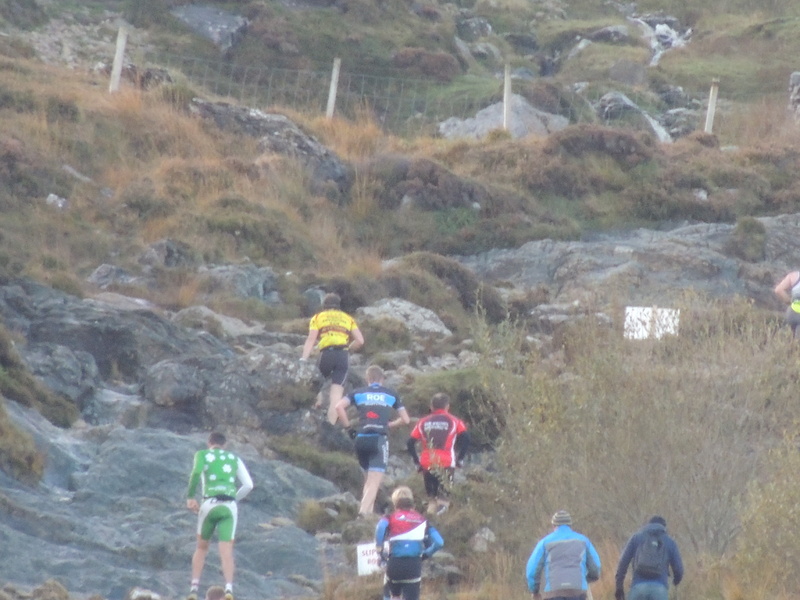 The run is very technical along the coastal area with very nasty ground, which really zaps the energy early on. We startled a flock of sheep early on which scampered along beside us before running down the cliff face towards the sea. I had images of a few loosing their footing and going for a swim below. It was far more likely this would happen to one of us. The pace was manageable and I found myself really enjoying this section. This, of course ,was down to all the running on mountains in Vancouver in the heat. I knew I had harder times ahead in this race, but you have to enjoy it when you are going well. I finished the 14km in 56minutes and landed at the kayak in good nick. The short 7.50minute kayak across the fjord was nice apart from a few waves from passing boats and jetskis and I came out of the kayak in second place. 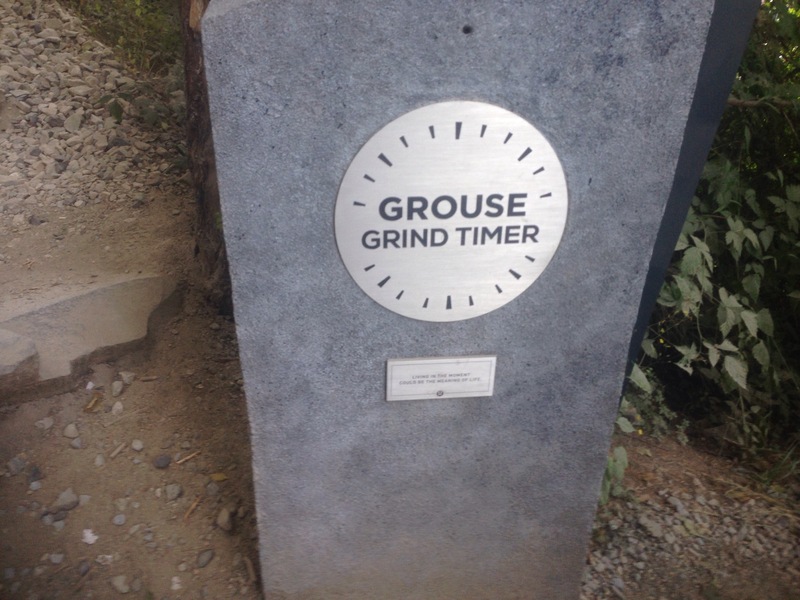 A 3.5km run across soft bog and along the Delphi River to Delphi adventure centre was next and onto the bike to test out the transitional legs. I knew that my lack of biking in recent times would be a big factor. 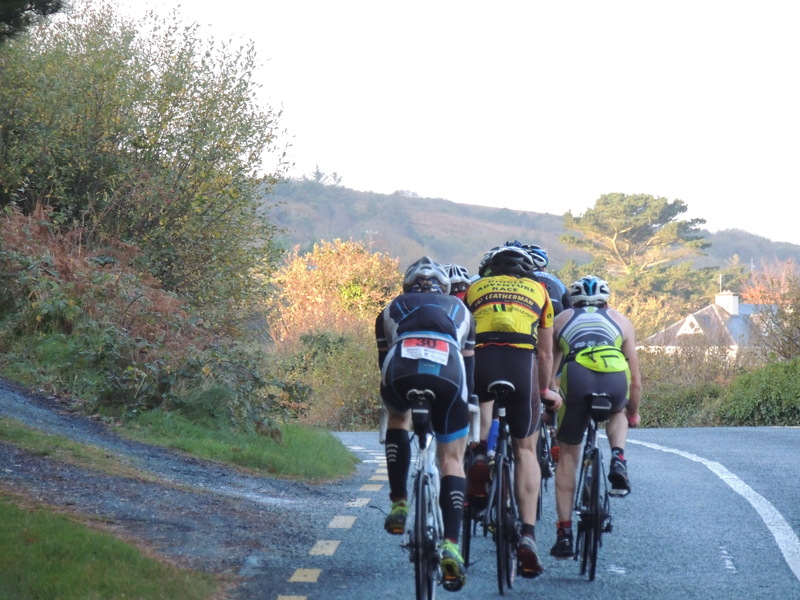 Myself and the eventual winner Kieran Kelly stayed up front for the first half of the cycle. Then came the hills and my legs got a little worried! I would manage to keep in touch with the front four, that included Kieran and three more athletes that passed me on the bike section, until the mountain. 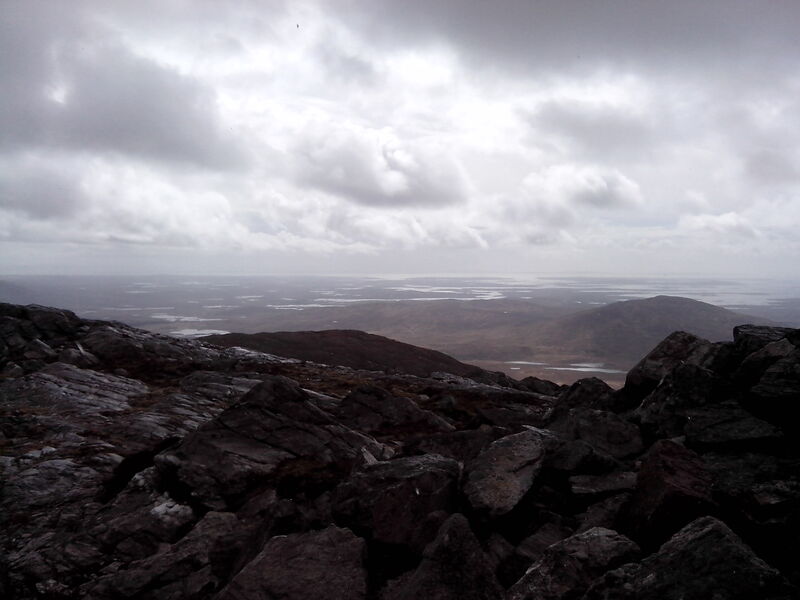 A quick scurry up and down Croagh Patrick was next. This is by far the most gruelling part of the race. Your legs are screaming, and to make matters worse within 200 metres of the top I started to sway. I saw stars, possibly even little rabbits onfront of my eyes, I can’t really recall! This must of been “the wall” and I knew I had to fight through it. I turned at the top, around a minute slower than last year, and decided to let fly on the way down and hope the rabbits went away. To my delight I made it down in one piece, without a fall, and was ready for the final bike section, somehow lying in third place once again with last years winner Dessie Duffy and Kieran ahead. 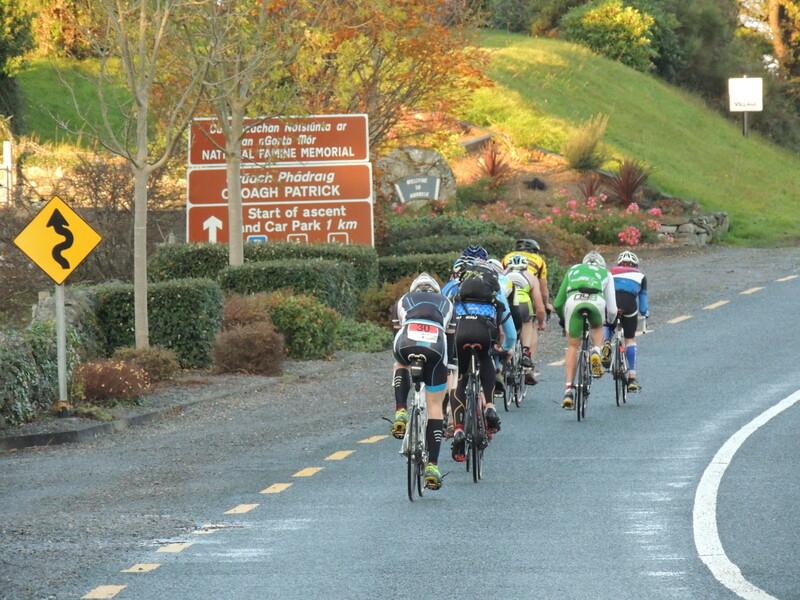 The final bike section includes a 2km section called the skelp where most riders dismount and run with the bike due to the terrain. I lost about two minutes to the leaders in this part, and was overtaken by two , but I just didn’t have the energy to go any faster. I fought off a few cramps on the final 14km on the bike and managed a decent last 2km run to the finish to come in in 6th place, very happy to beat last years time by over 5 minutes. This feeling of accomplishment I mentioned before is there for anyone that beats themselves and even though I find myself at a stage where I have a chance to win one of these races, the most important thing for me right now is that I am improving. A huge congrats to everyone involved and especially to my friends dad who completed his 10th Gaelforce West in a row at the age of 58 yesterday! Here are some links to the race yesterday and my training over the last few months. I’m sure this title is a little confusing for many! 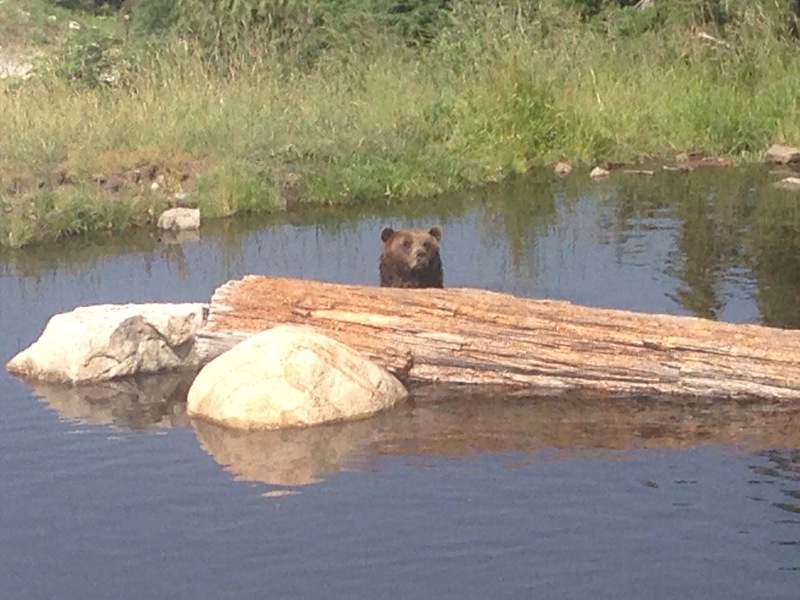 It is, however, a good reflection of my run on the Western Way Trail yesterday. I went fishing for the afternoon and stuck on my trail runners to do a similar run on the trail as I had completed 2 weeks ago. 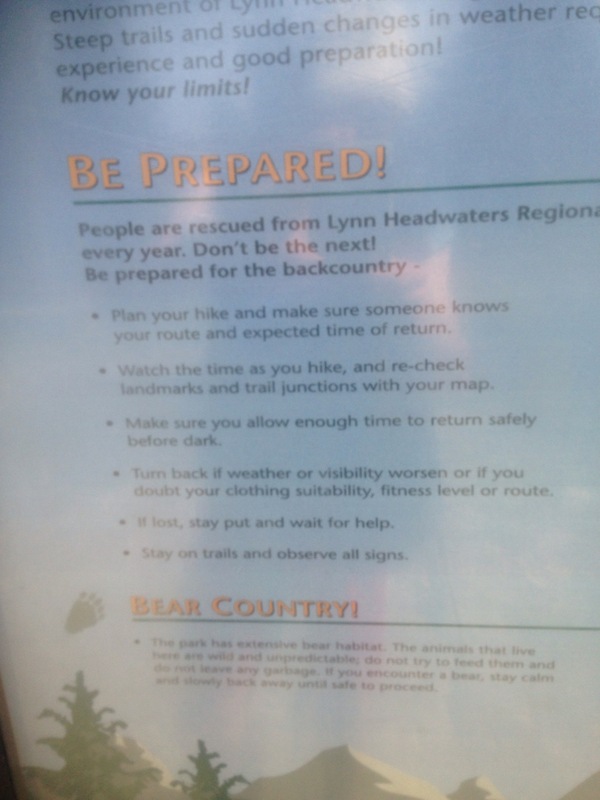 I decided to veer off the trail early on and follow the bog and lakeshore to the base of the mountain before returning along the marked trail. 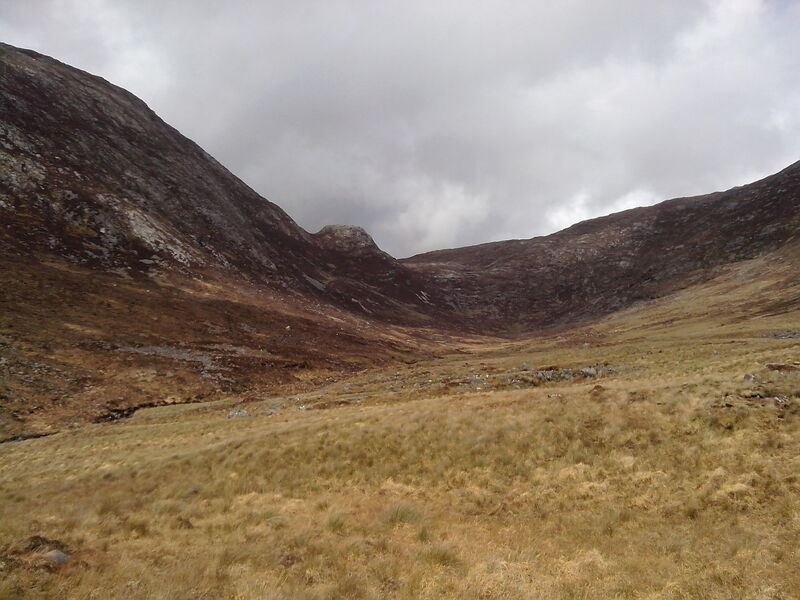 As I ran through the bog my only secure footing was on the trails made by mountain sheep. It was incredibly soft and slippy ground but I feel I am improving on this terrain. 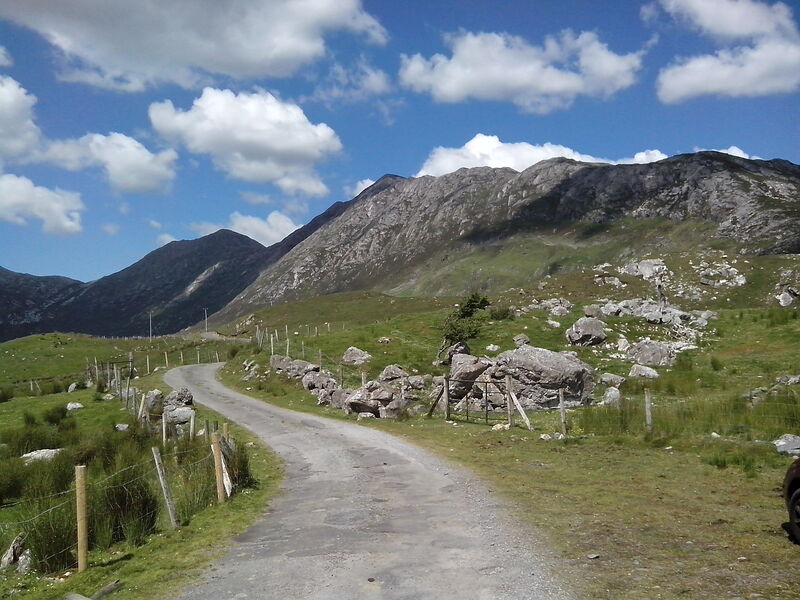 The mountain is only a 25 minute scramble, but it is very steep, sometimes scarily so, and can be slippy under foot. The views from the top were incredible as always. On my return journey I spotted a very unusual object on the side of the trail. Red Deer antler found on the trail. Amazing. 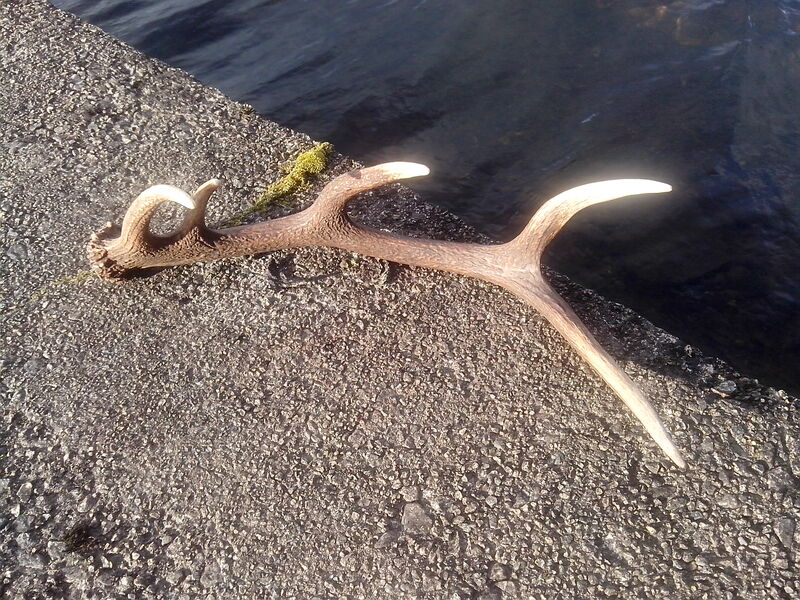 Red Deer shed their antlers (made of bone) in March and April every year and they grow back longer the next year with more points (tines) on them. The antlers can grow at a rate of an inch per day. I completed a very tricky 17km in 1hr 45 minutes and was glad to hop in the lake for a quick cool down. 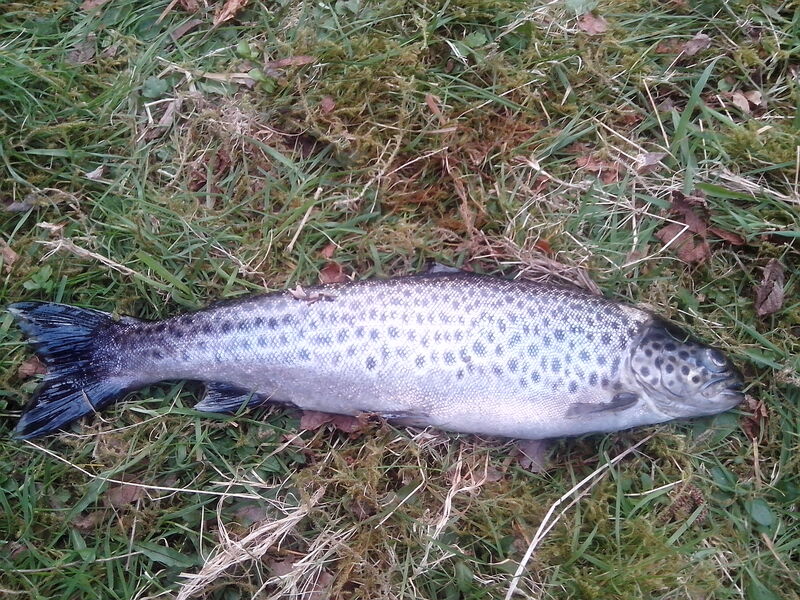 I had caught dinner earlier so I cooked up a tasty brown trout when I got home. 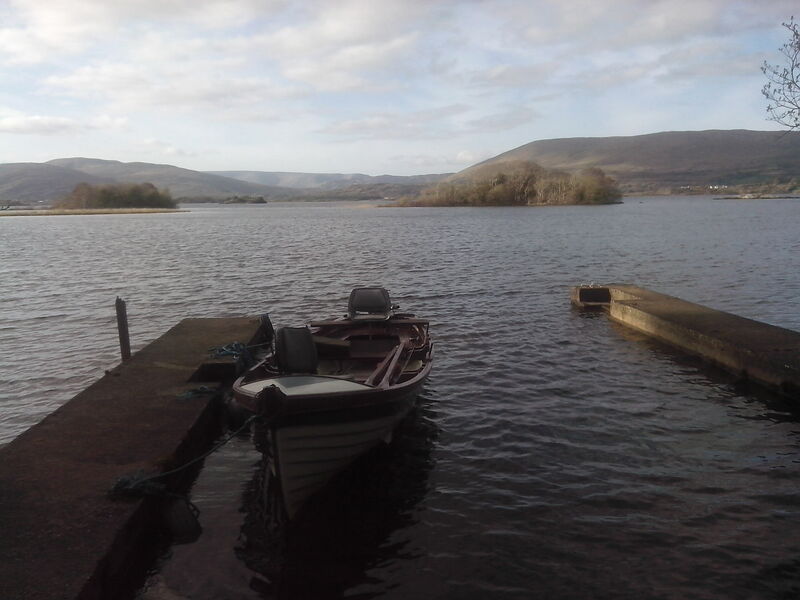 The view from the boat mooring on the Gleann shore of Lough Corrib, Galway. Wet and windy bank holiday weekend! The last few days training were tough. I decided to push it, especially in my session today, and with weather conditions becoming more and more testing it wasn’t easy. It is less than two weeks to the next adventure race. I plan to taper next week to give myself the best chance of beating last years times. (3.04 hours). I reckon it will be my last long race for a while as the off season comes around. The plan will be to bring down my times over 10km during winter and work of speed on bike as well as throwing in some longer trail runs when the weather isn’t too crazy. I will give the football a few months too, as I have missed it of late. 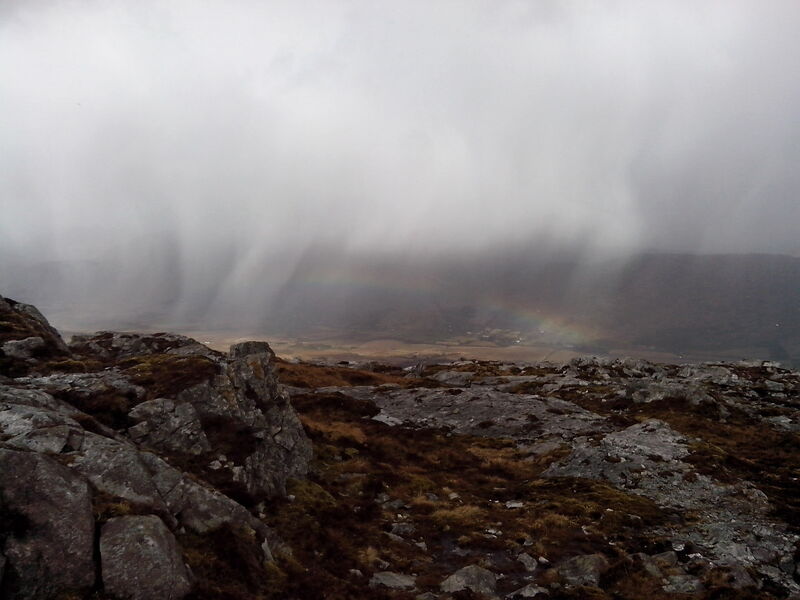 It is possible to train in any weather but when there are mountains and tricky, technical trails involved I have to be careful too. 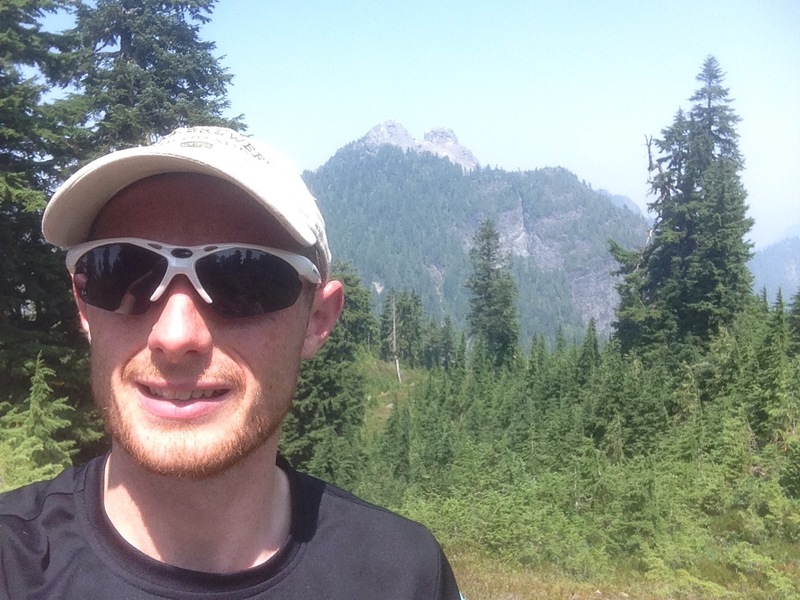 A snippet here about an irishman who ran 50,000km in the last 4 years! My training over last few days can be seen in stats below. My 10km hill run was my best time on this course so far!